Winters are a time when you need to take a little extra care of your body. As temperatures dip, you dig out the woollens from boxes to protect your body against the cold. 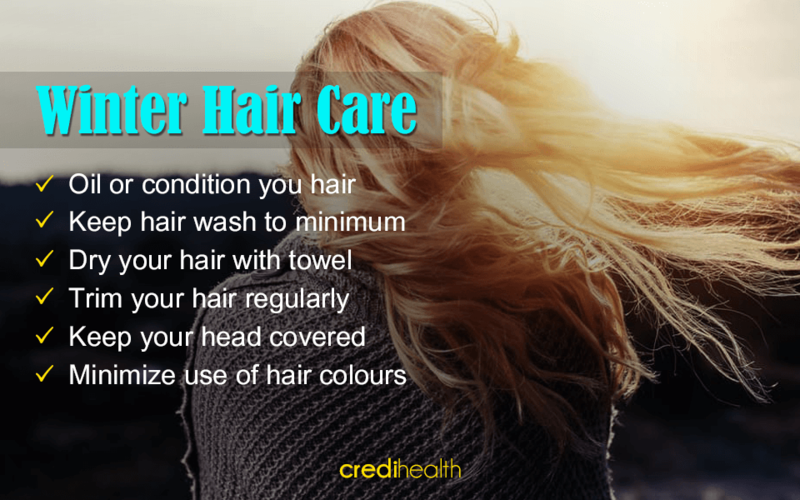 One part that often gets neglected and exposed to cold air, decreased humidity, fast winds, and artificial heating systems is your hair and skin. These become prone to drying, causing dullness, itchiness in skin and hair and cracked feet and hands. Your hair does not get the luxury to duck under layers of woollens, and are directly exposed to the winter elements. Replenish the moisture it loses over the week to cold air or heating systems with a deep conditioning treatment once a week. You may opt for oil massages or conditioners for this purpose. Unlike summers, your hair does not accumulate as much dust or oil in winter. Prevent extra dryness by washing hair twice or thrice a week at the most. Also, do not step outside with wet hair, as it can make it more dry and brittle. Limit the use of blow dryer, especially in winters. You can use a towel to remove excess water and just give a small round of heat treatment. Regular trimming (every 6-8 weeks) will keep hair healthy and reduce your risk of dry, split ends. Protect your hair and your hairstyle from cold winds by wrapping a scarf or putting on a warm hat. Another advantage: that irritating static that generates in hair during winters will no longer bother you. Those who colour their hair or add highlights might want to give it a break in this season. Experts suggest that it is best to not put hair under chemical stress, or at the most stick to less intense highlights. Winters are the best time to practise a daily moisturising regimen for the skin, especially soon after a bath. Sure, a hot bath could be the most soothing thing against the biting cold, but it may not be good for your skin. Get comfortable with warm or lukewarm baths to protect your skin’s natural oils. Unlike summers where you need to literally scrub out the dust, winter is a time when you want to go gentle on your skin and preserve its natural oils. 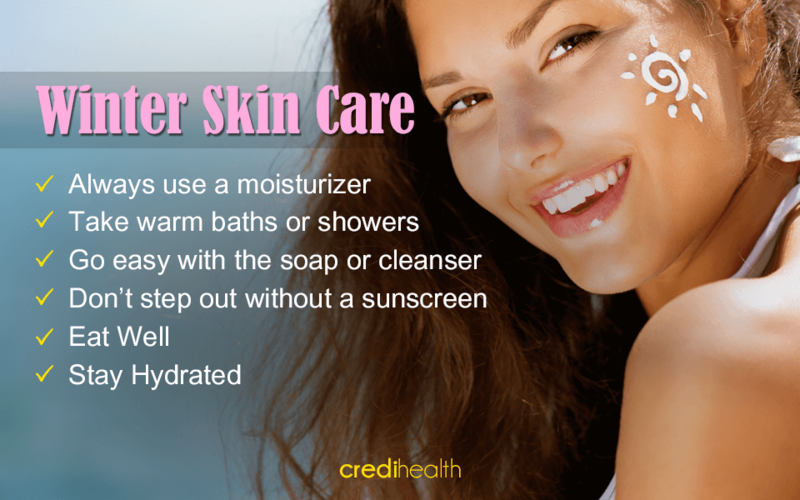 Opt for nourishing soaps or body washes or even soap-free cleansers to help your skin retain its natural moisture. The winter sun may not appear as strong as summer rays, but it can still harm your skin. You can use a moisturiser with a sun protection factor (SPF) of 15 or more when headed outdoors. Prevent dry, itchy skin by eating foods rich in essential fatty acids, like walnuts, flax, tuna, etc., which form part of the skin’s natural moisture retaining barriers. Winter air outside and even the heated air inside can dry your skin. Make sure you drink enough water during the day to keep yourself hydrated.